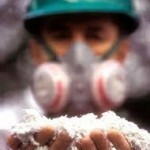 The fifth annual Asbestos Awareness Day ceremony will present an unadulterated caution to home renovators. The ceremony that takes place yearly in Latrobe Valley community is an event in which people gather in remembrance of asbestos victims of the past and present.Gippsland Trades and Labour Council secretary, John Parker announced that home renovations were the most recent asbestos-related issues. The ceremony was attended by affected family members and workplace representatives. Vicky Hamilton of the Asbestos Related Diseases Support group , said despite the last harmful type of asbestos being banned, there still exists an inadequate amount of community awareness.Hamilton stated that asbestos continues to exist in large amounts throughout the community and in homes. Thus people are at risk for potential exposure on a daily basis. Hamilton expressed her concerns that asbestos related cases would continually increase for decades to come. Parker asserts that diligence by government was needed to avoid illegal dumping by home renovators. It is Parker’s desire that one day the Asbestos Awareness Day will just be a memorial day, and not a day for remembering new victims. This story comes after issues arose with popular DIY home renovation reality TV-shows. Issues arose because the shows do not provide asbestos awareness or any warning; nor do they express the need for proper asbestos training.